For an overview of the series with lots of examples see part 1 also. 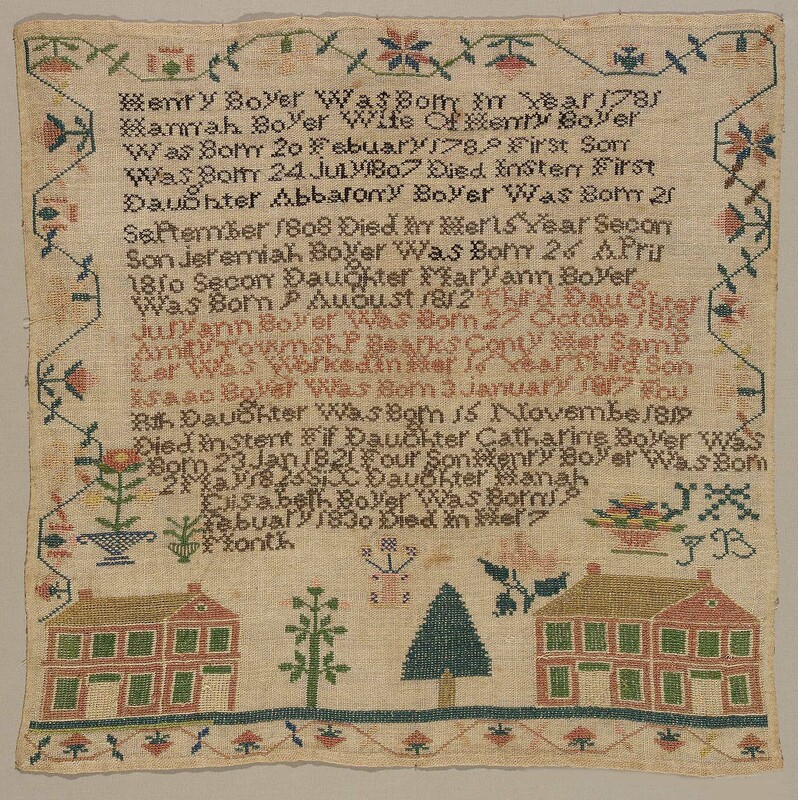 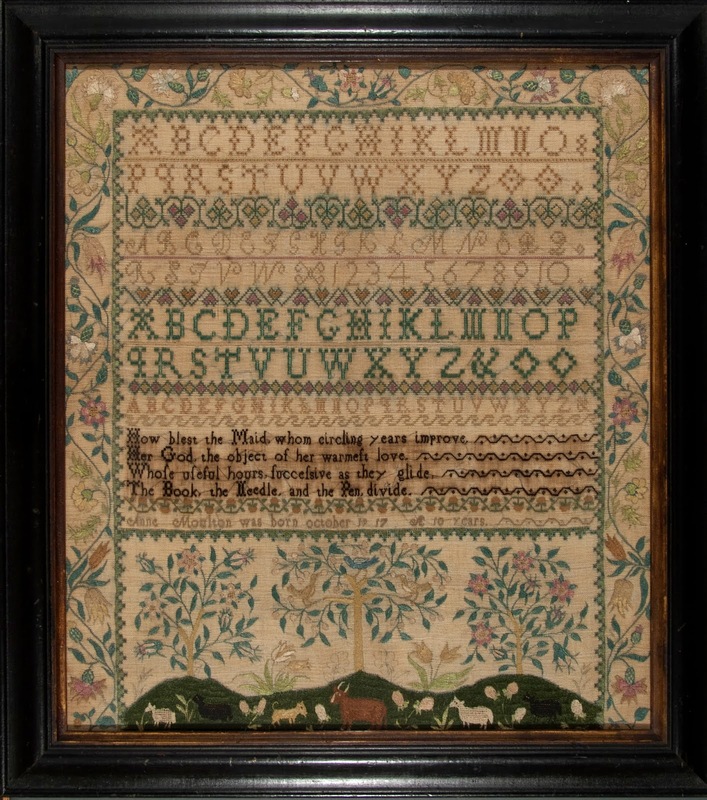 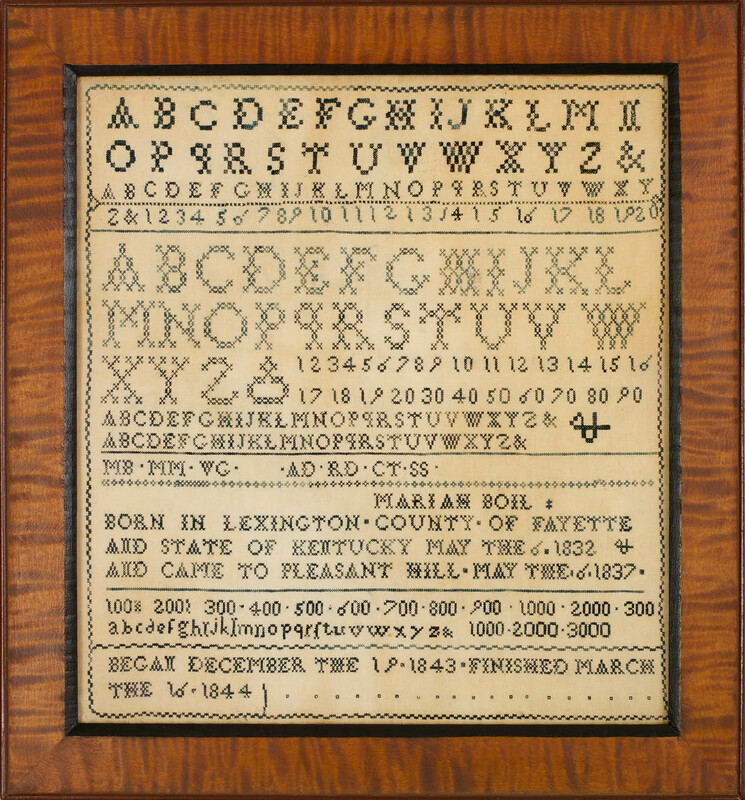 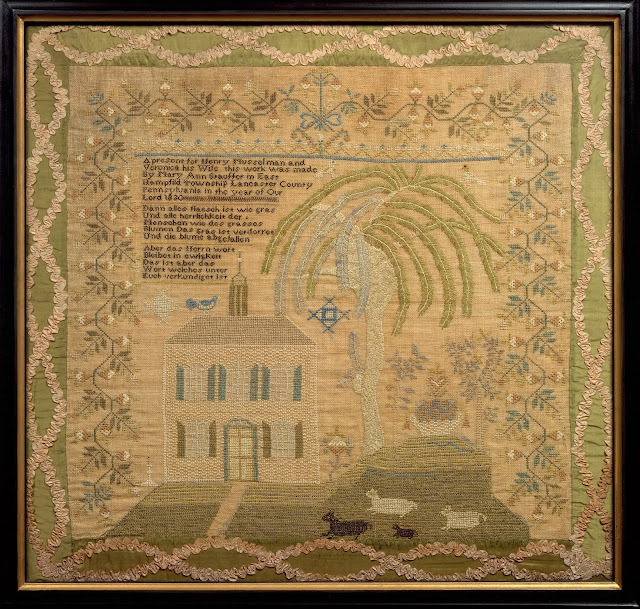 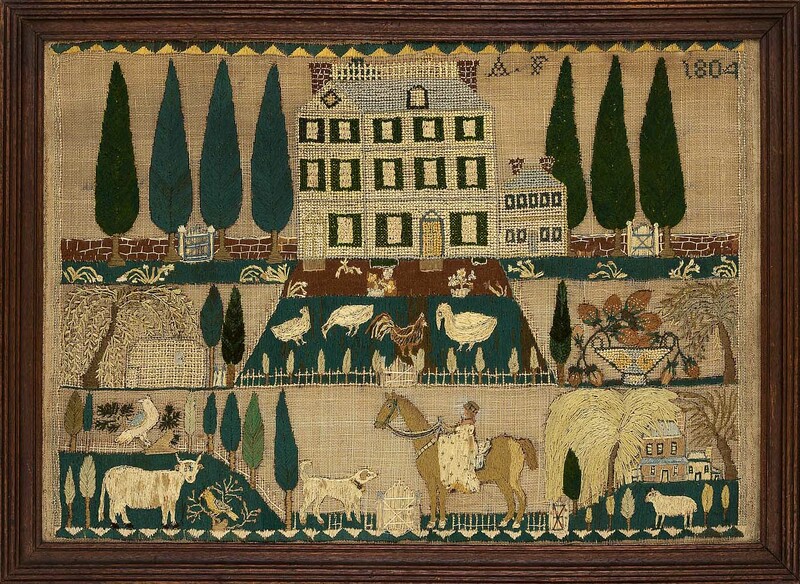 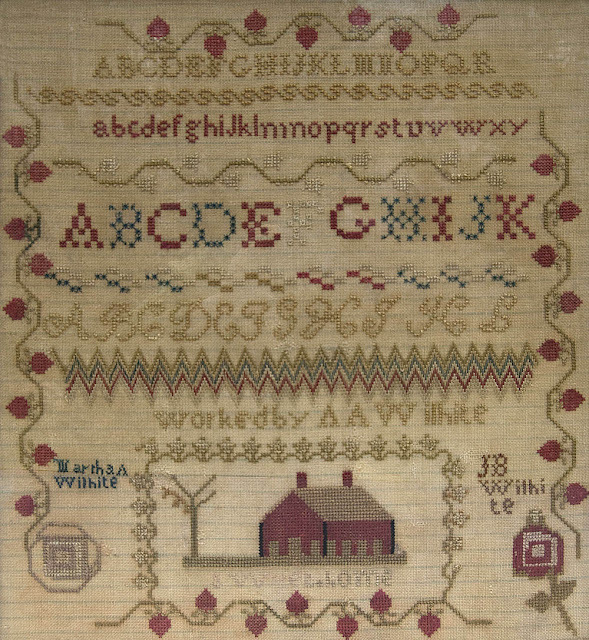 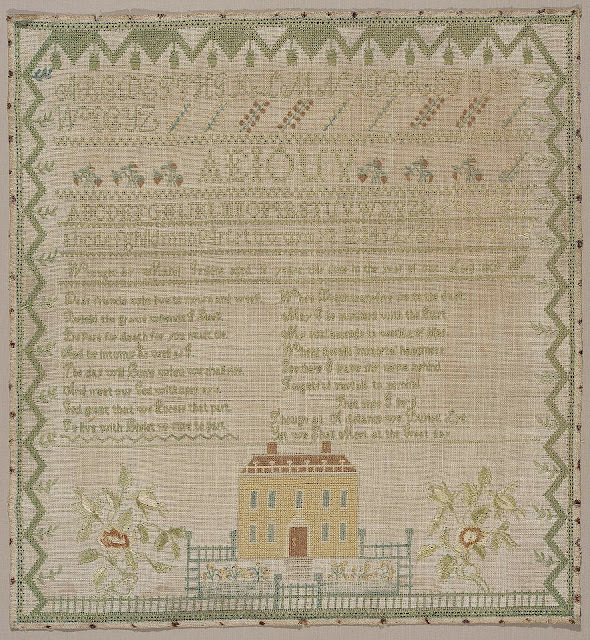 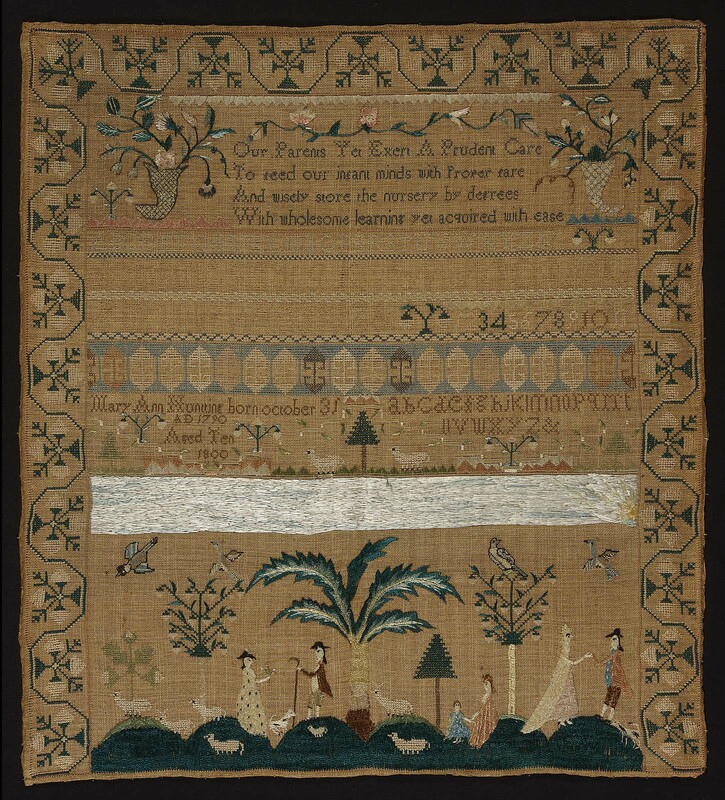 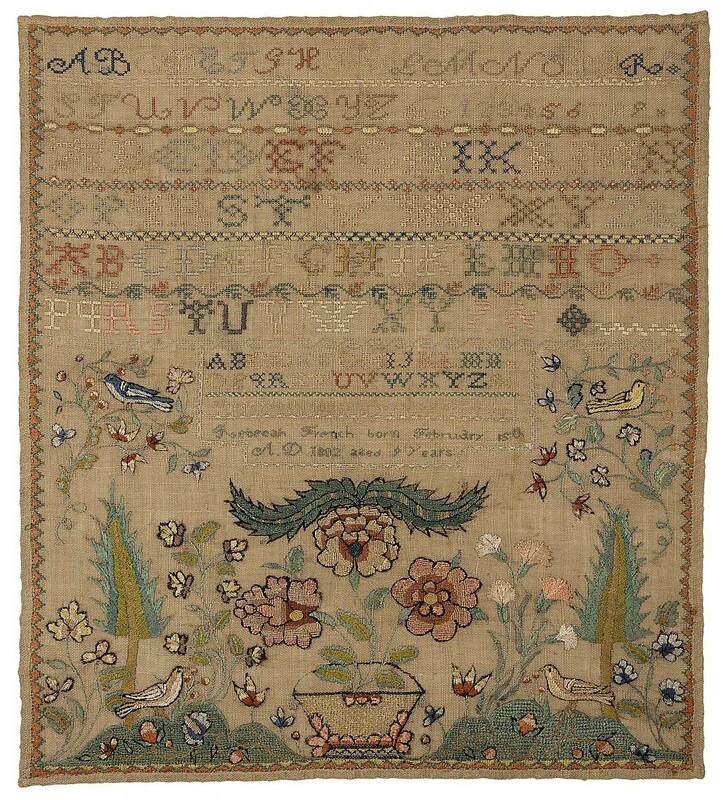 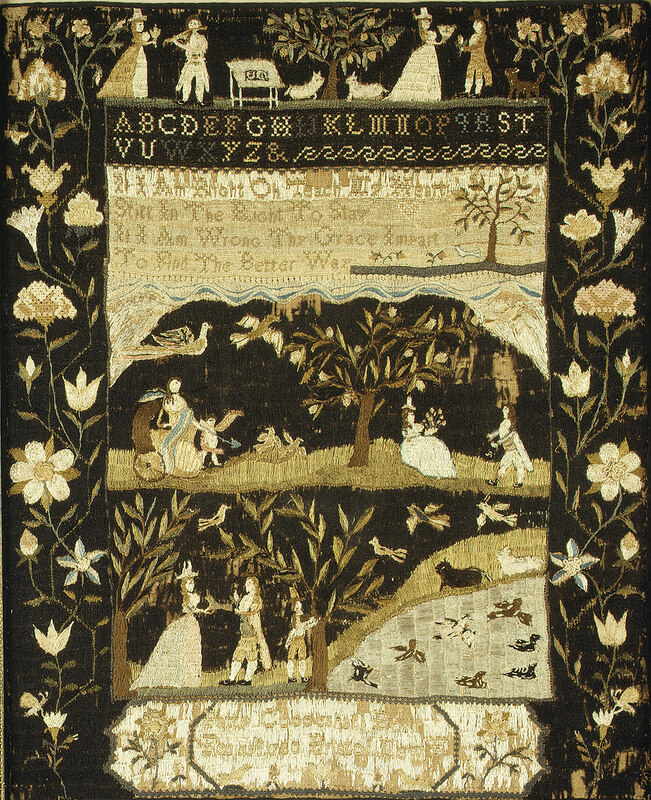 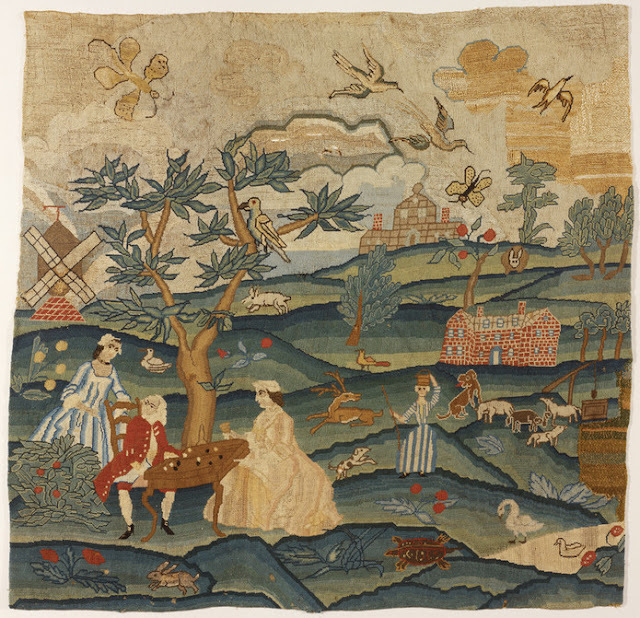 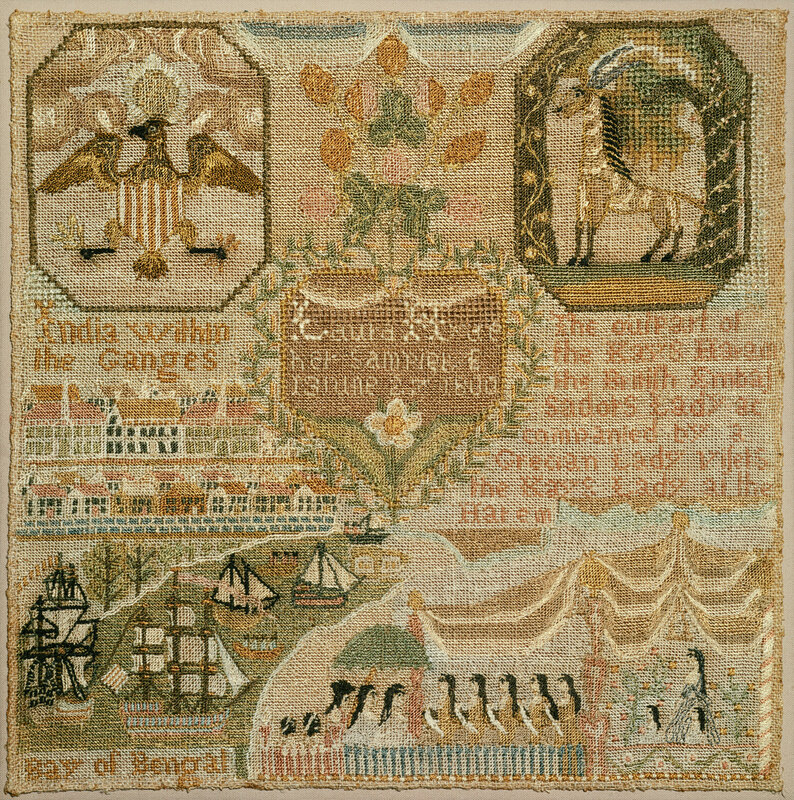 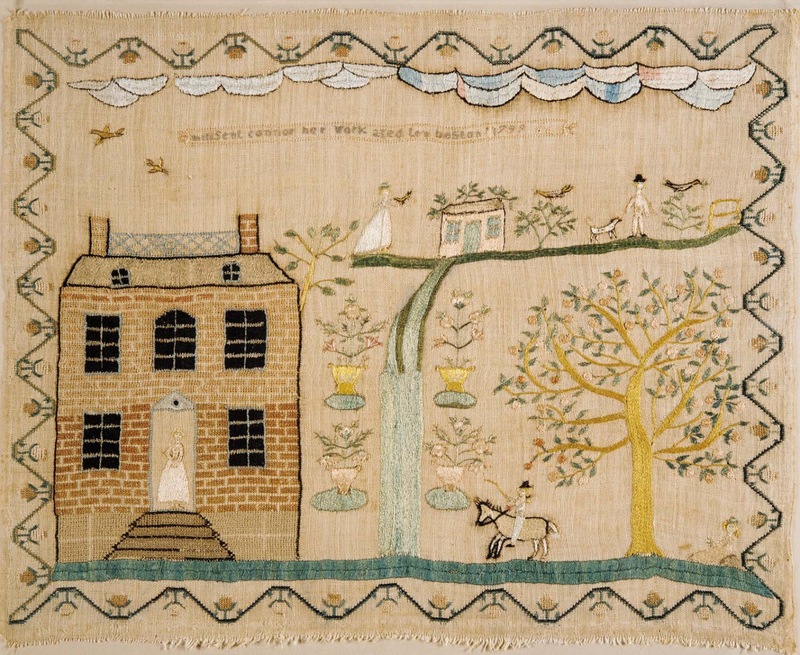 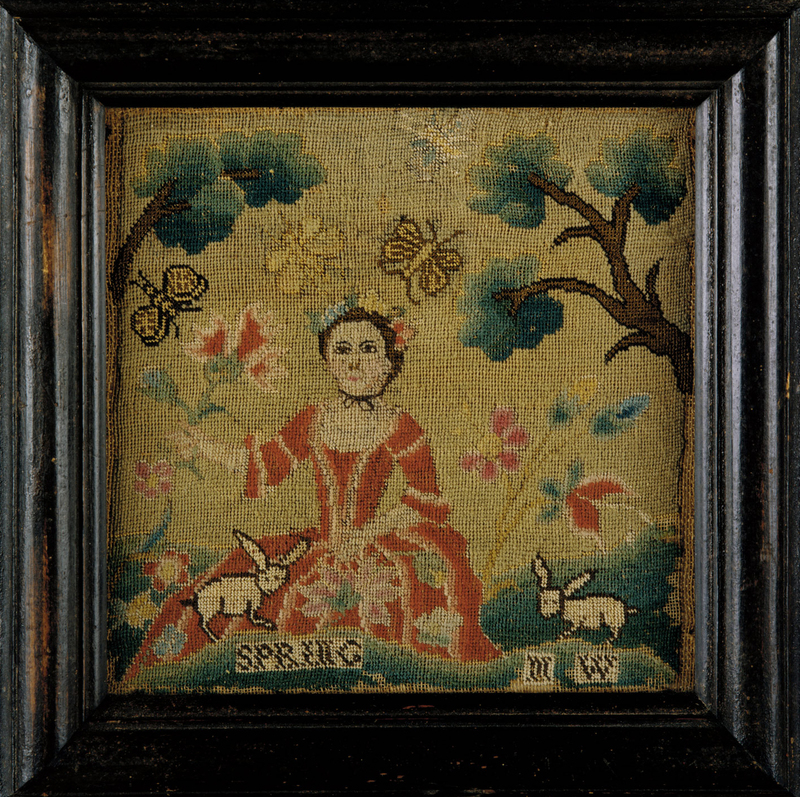 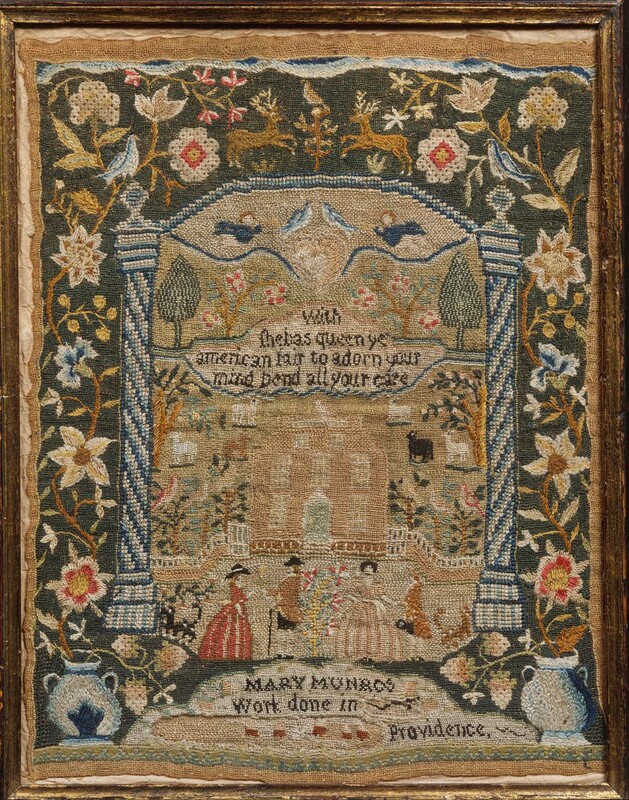 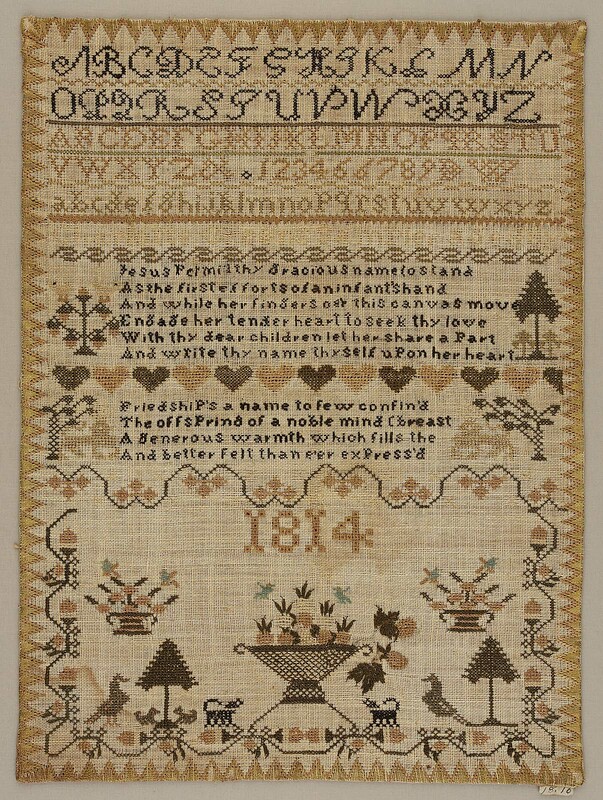 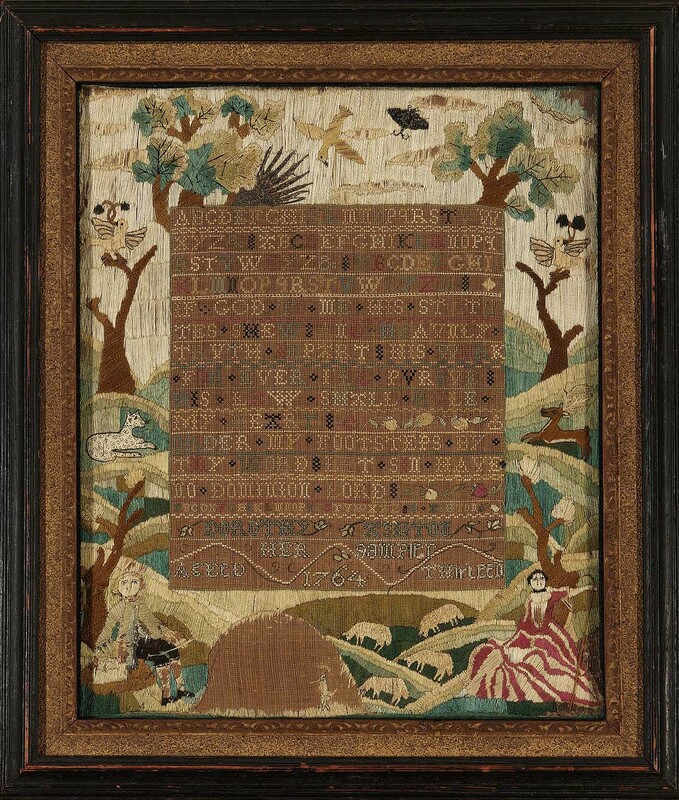 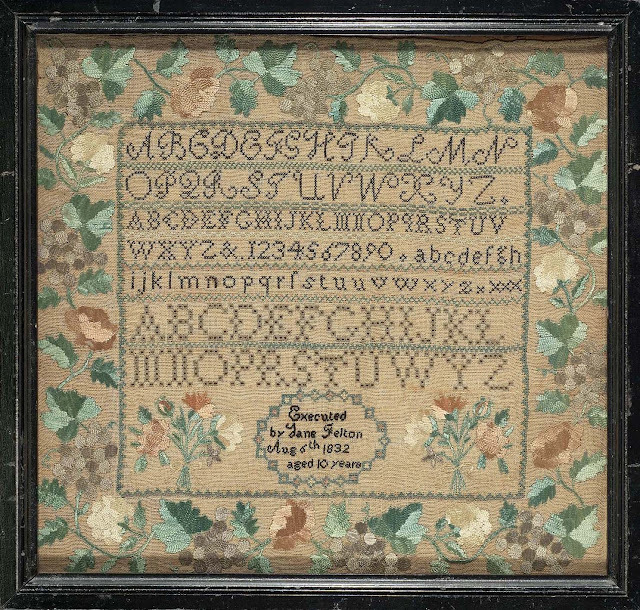 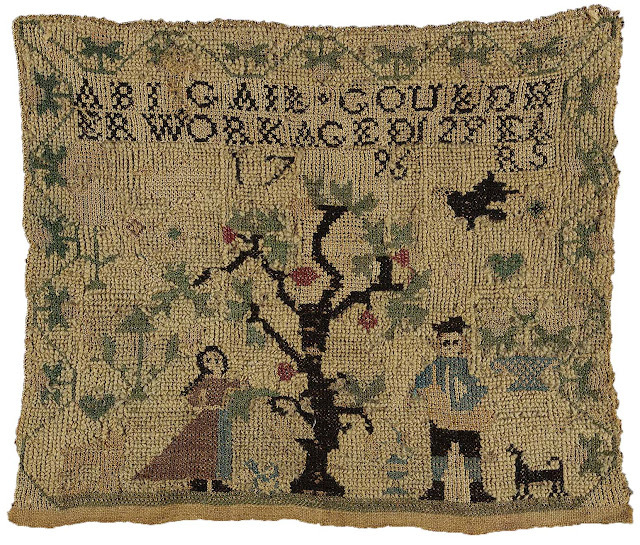 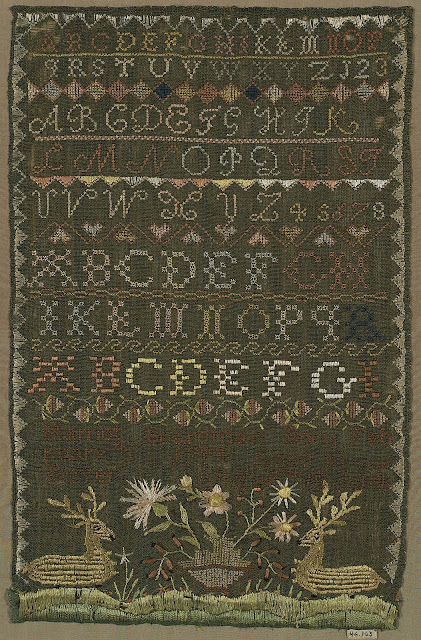 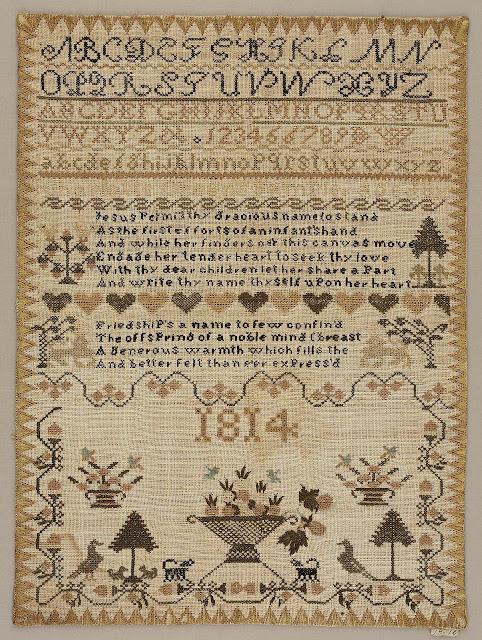 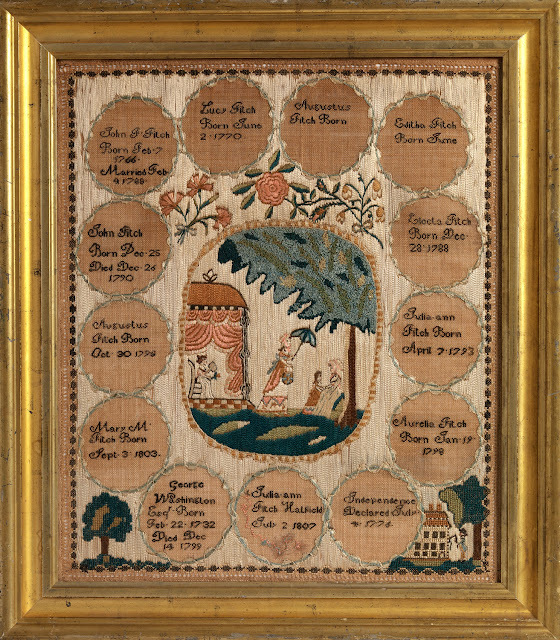 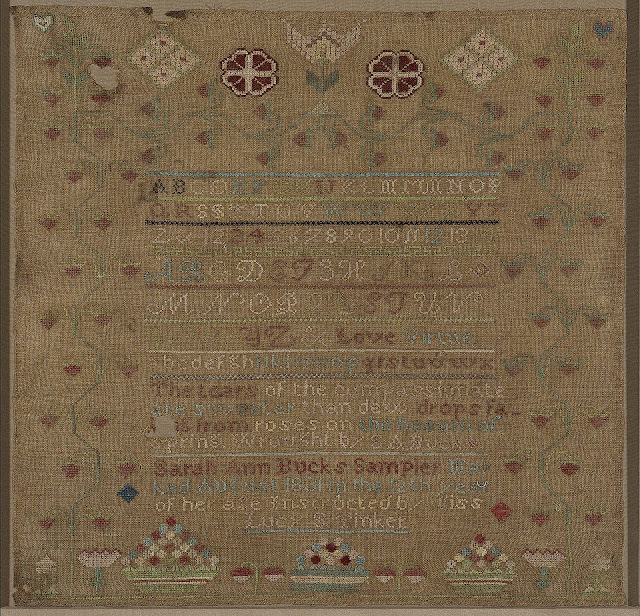 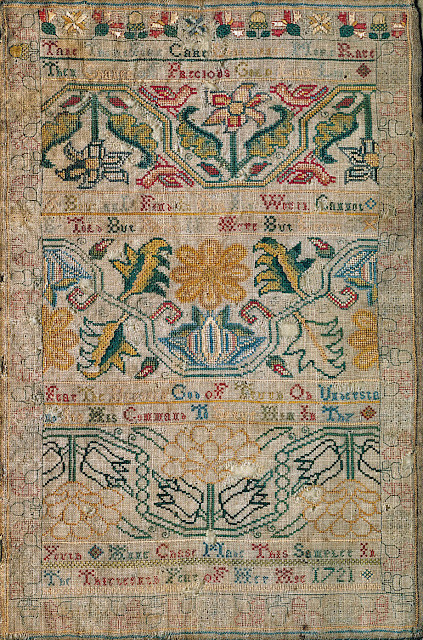 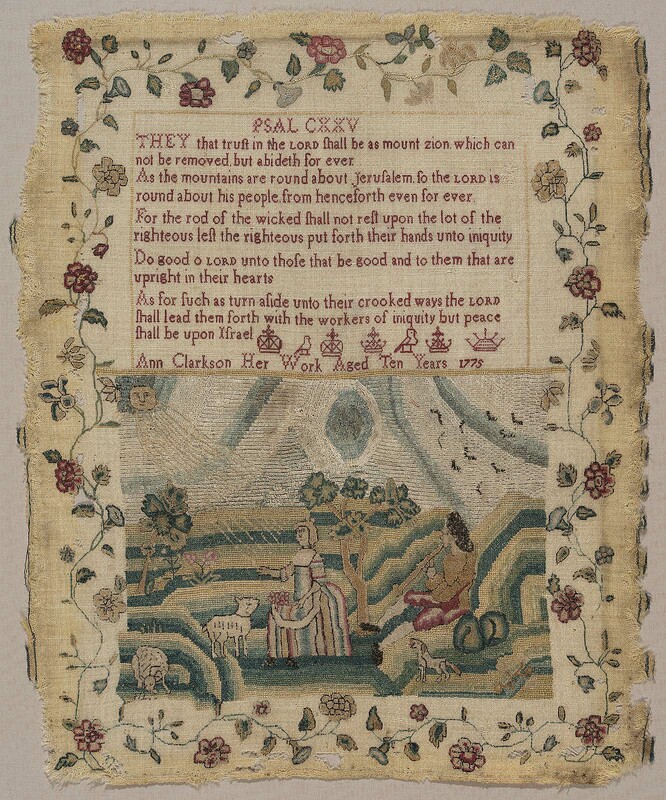 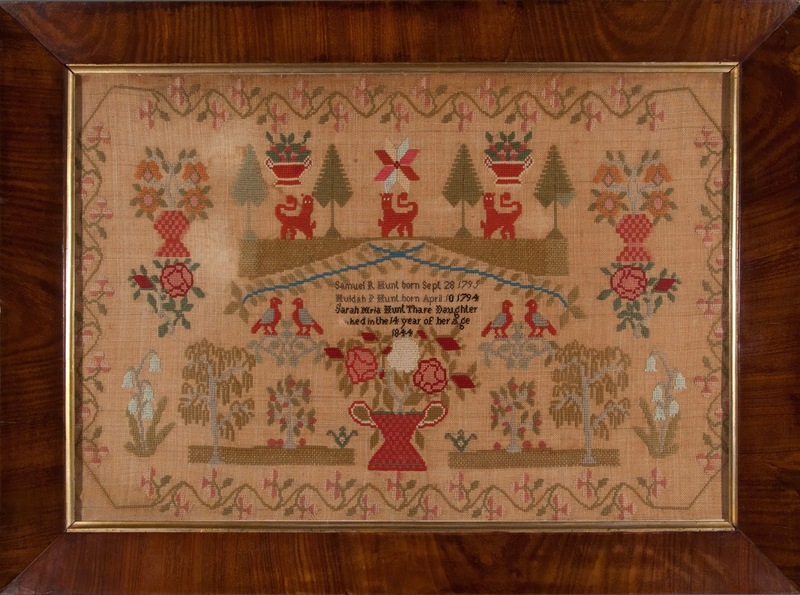 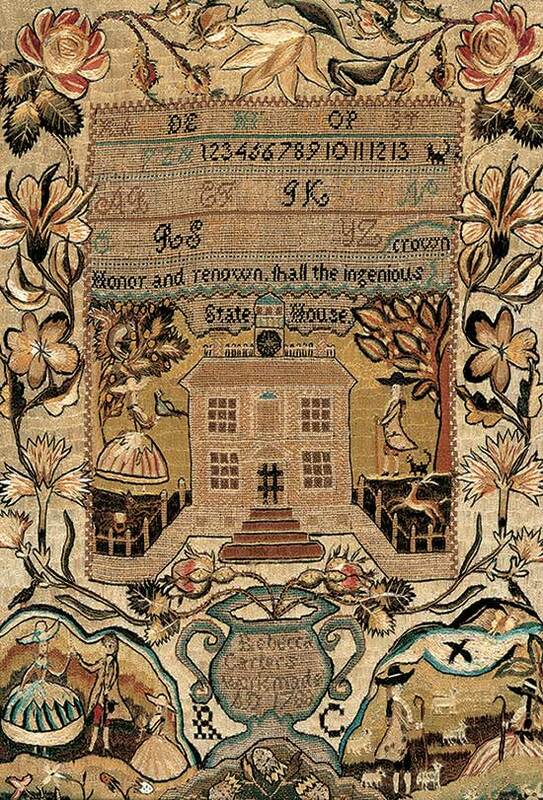 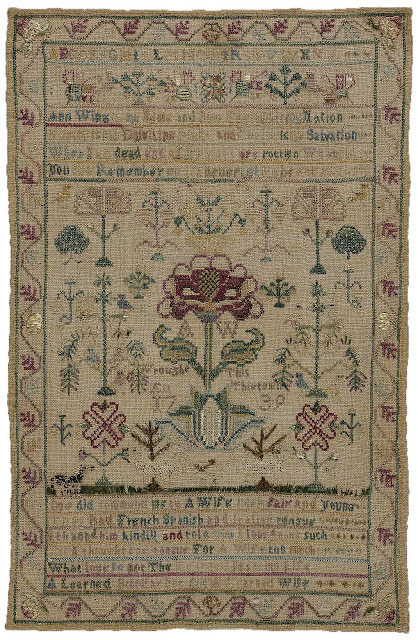 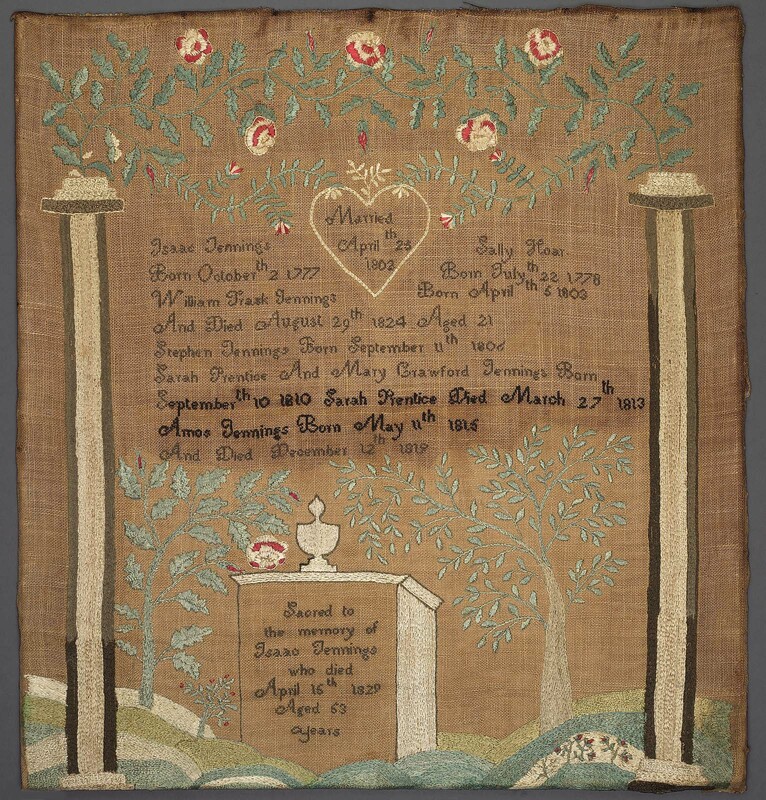 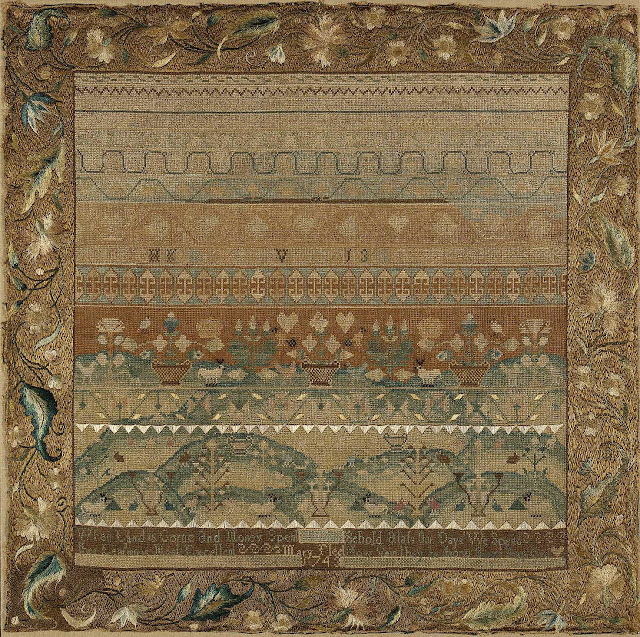 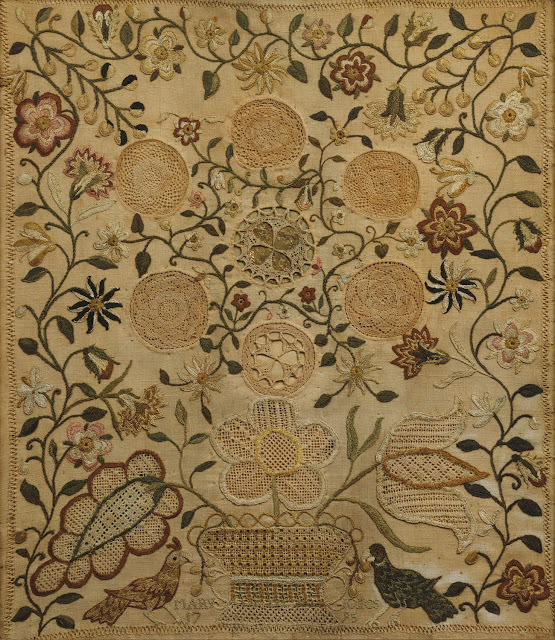 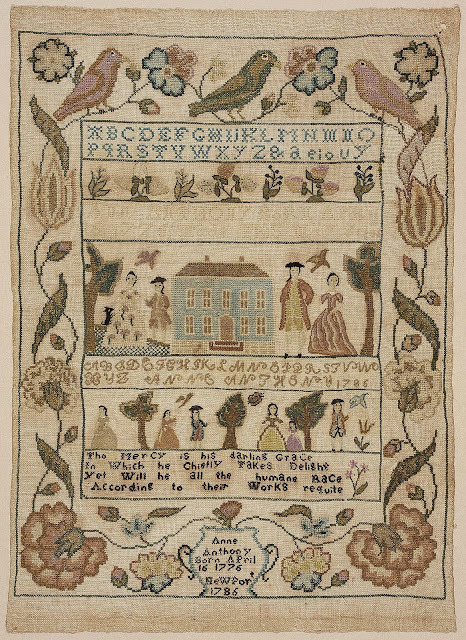 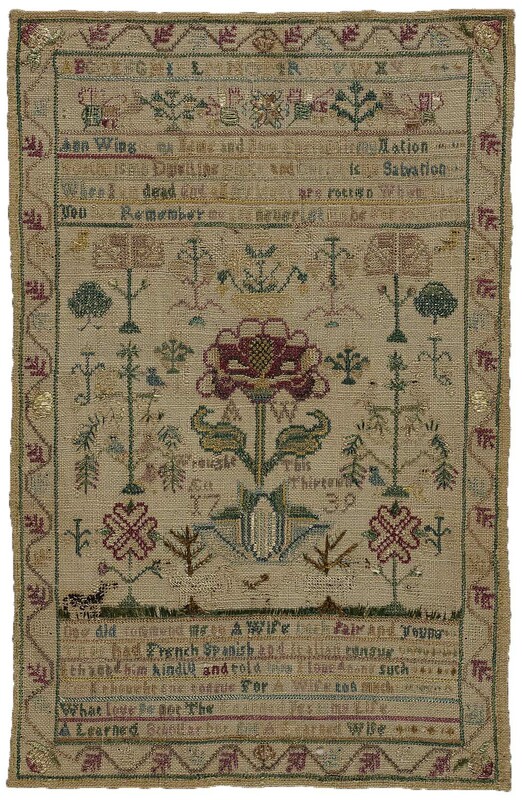 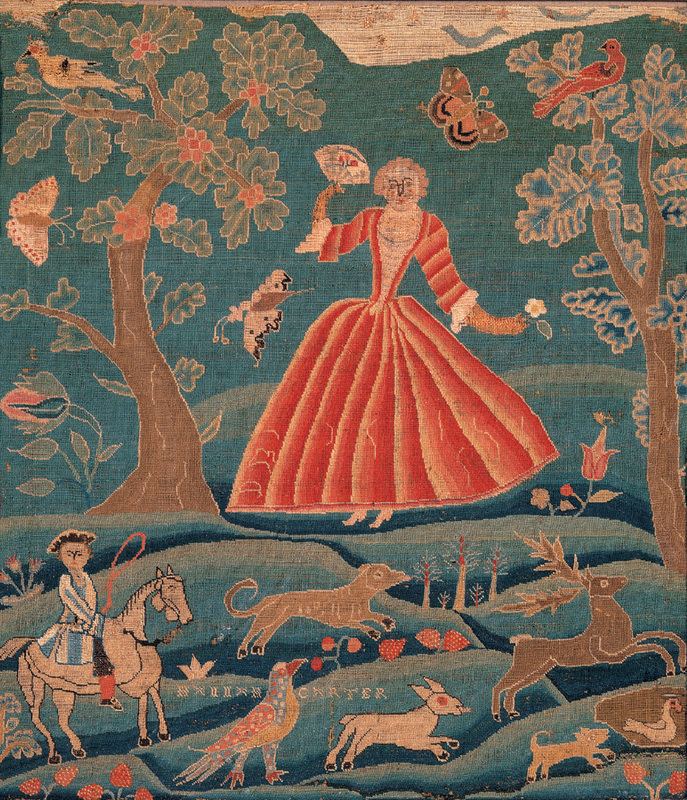 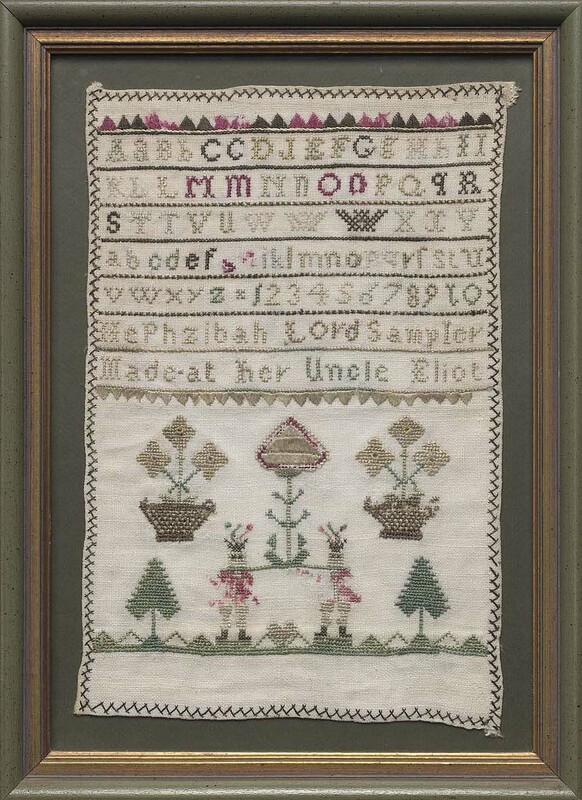 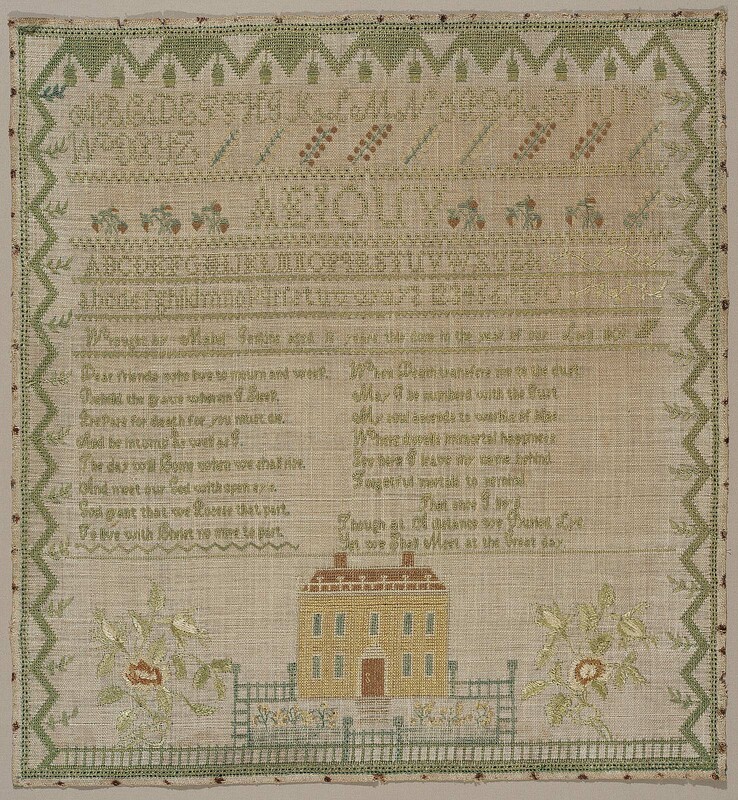 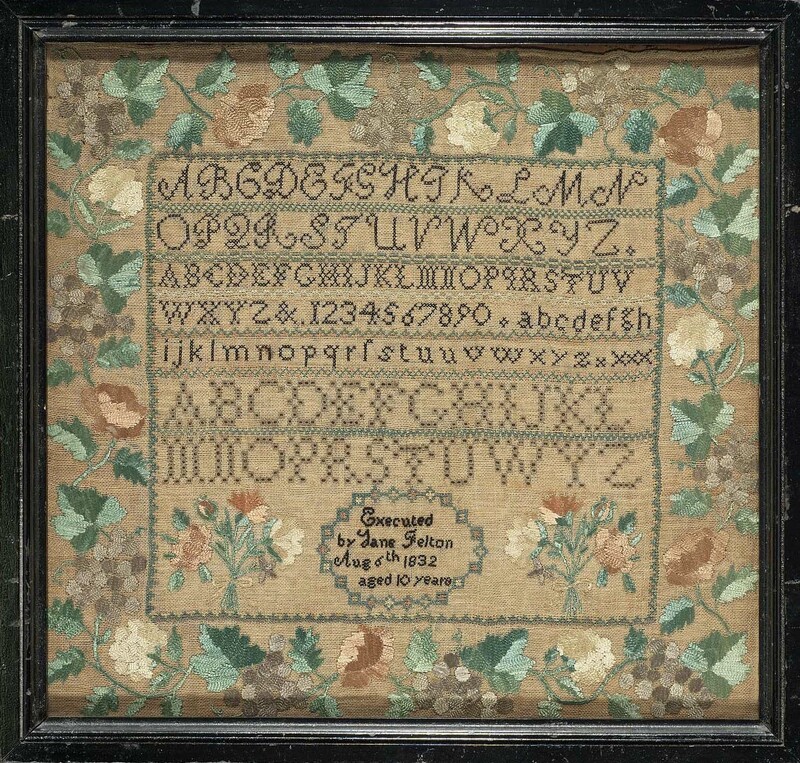 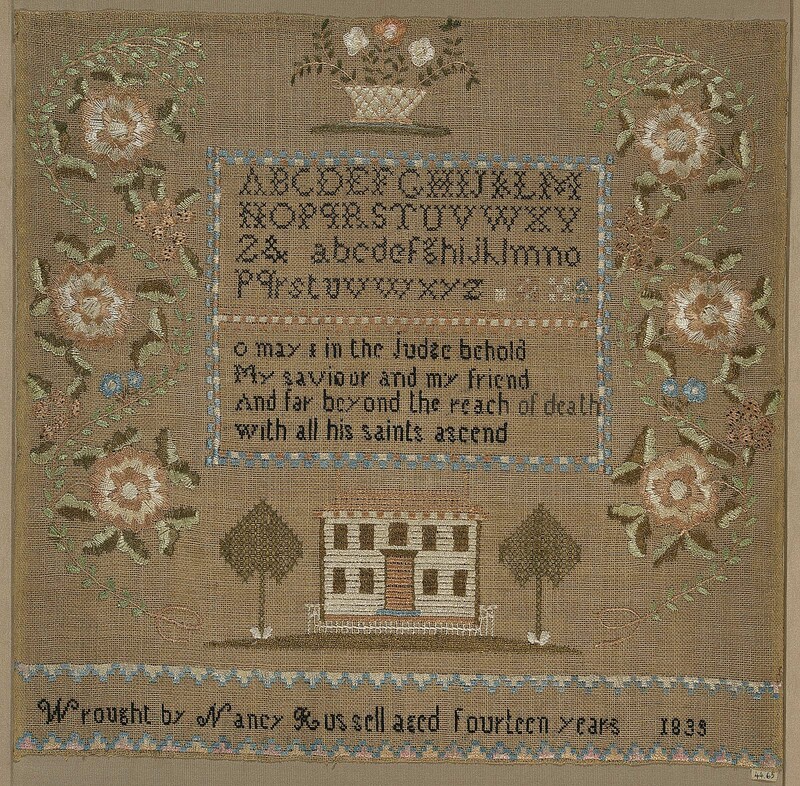 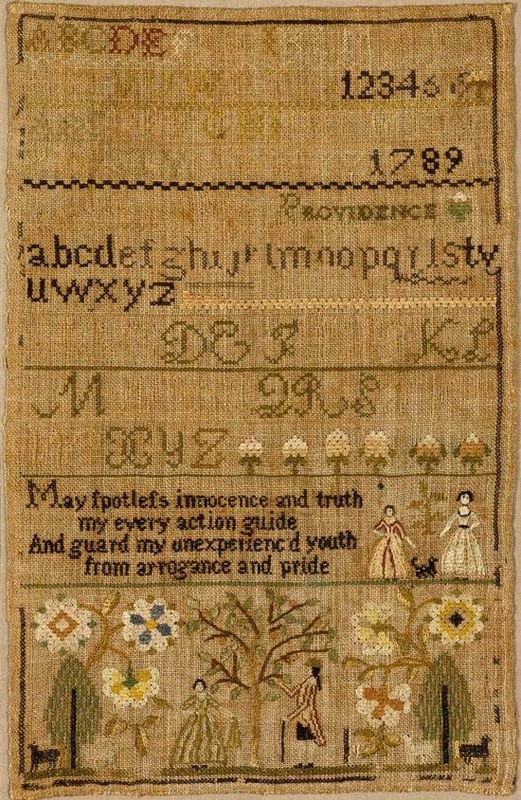 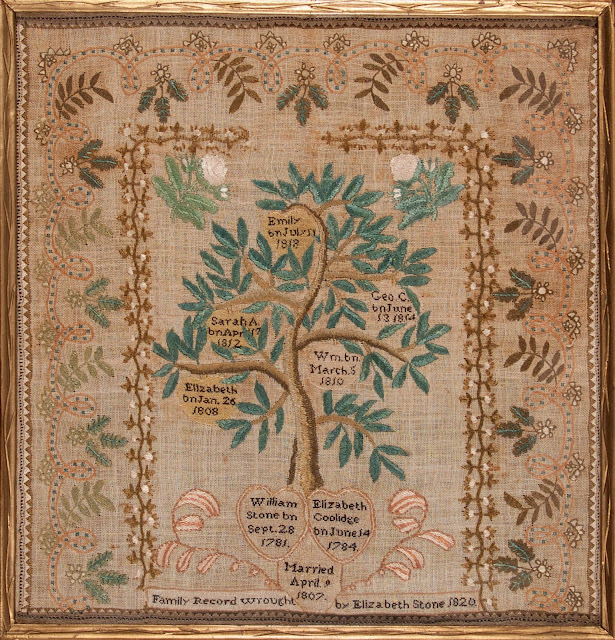 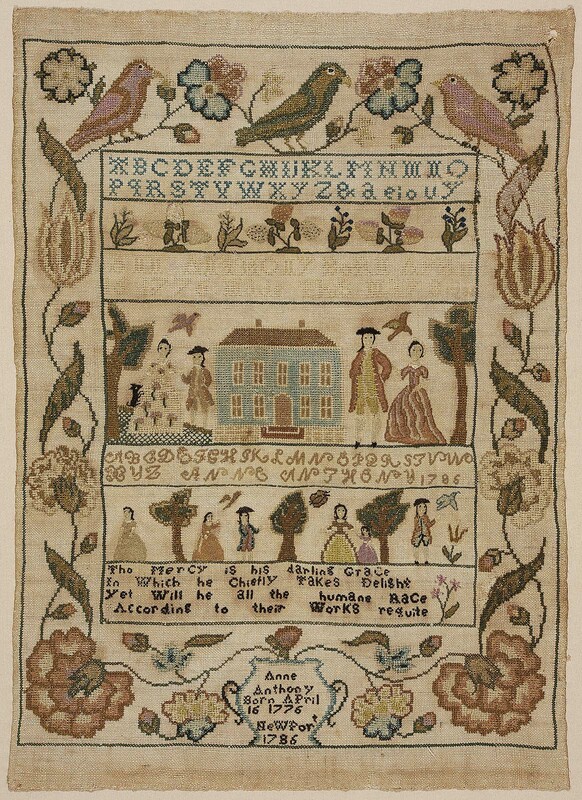 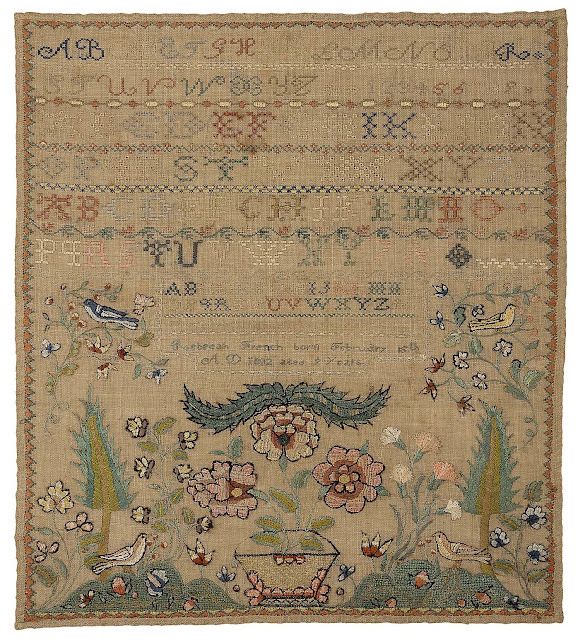 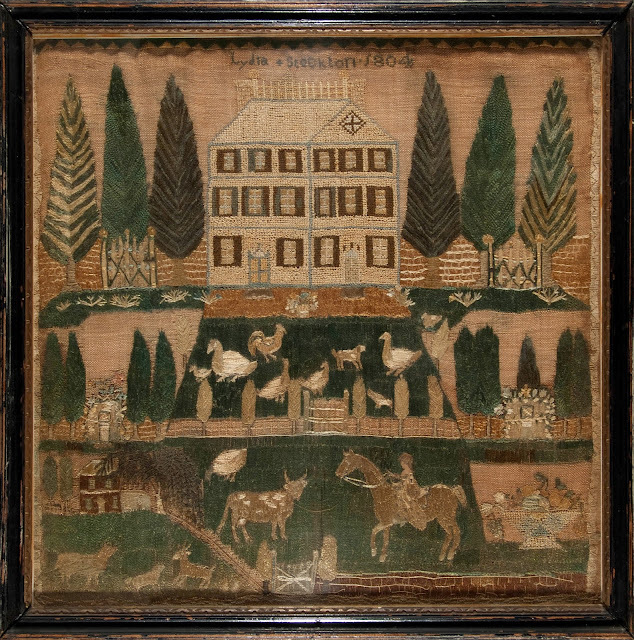 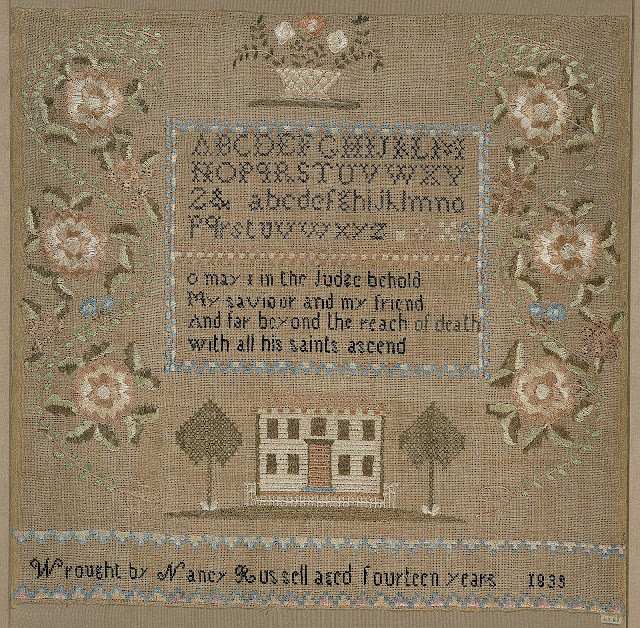 By the 1700s samplers depicting alphabets and numerals were worked by young women to learn basic needlework skills. 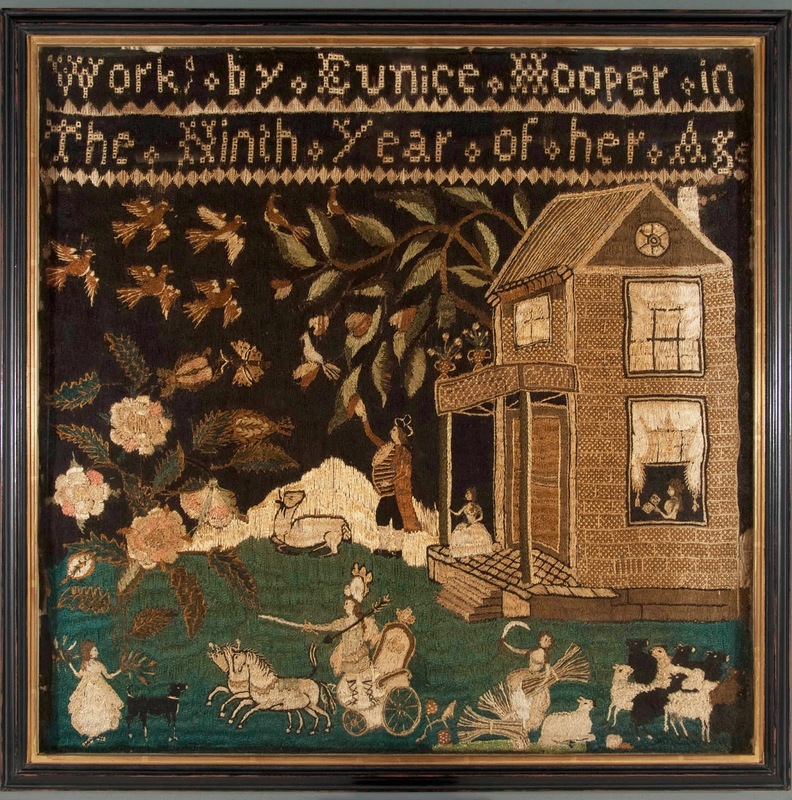 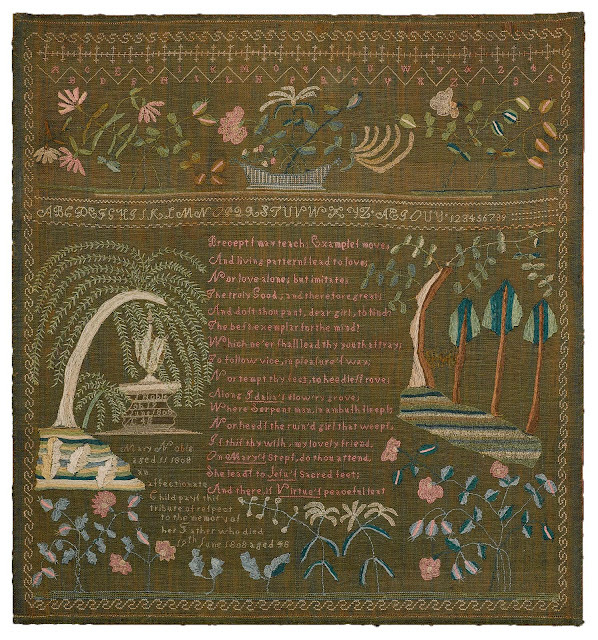 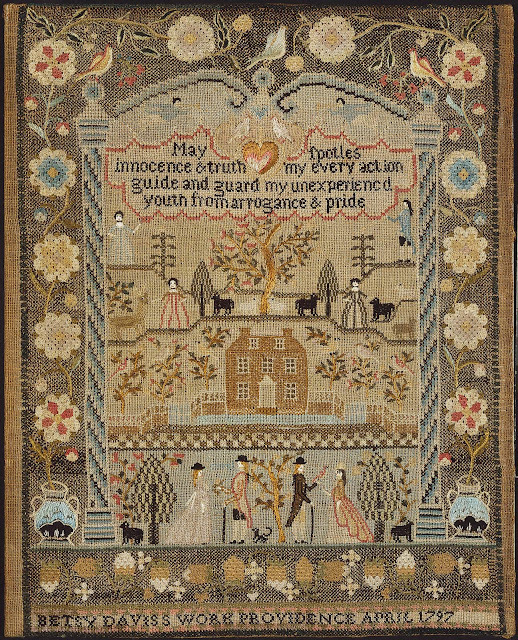 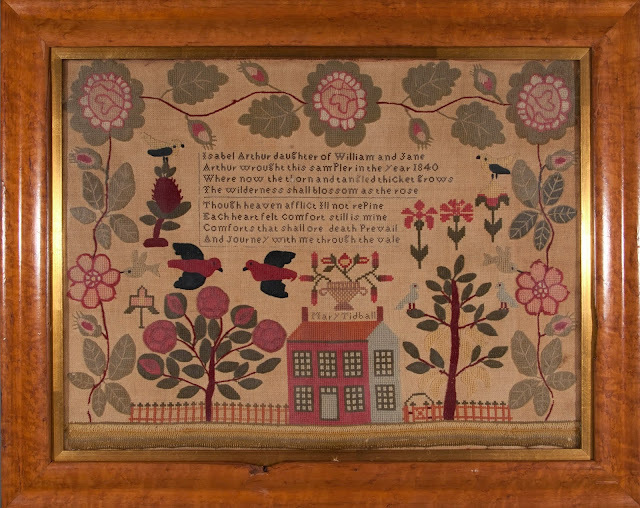 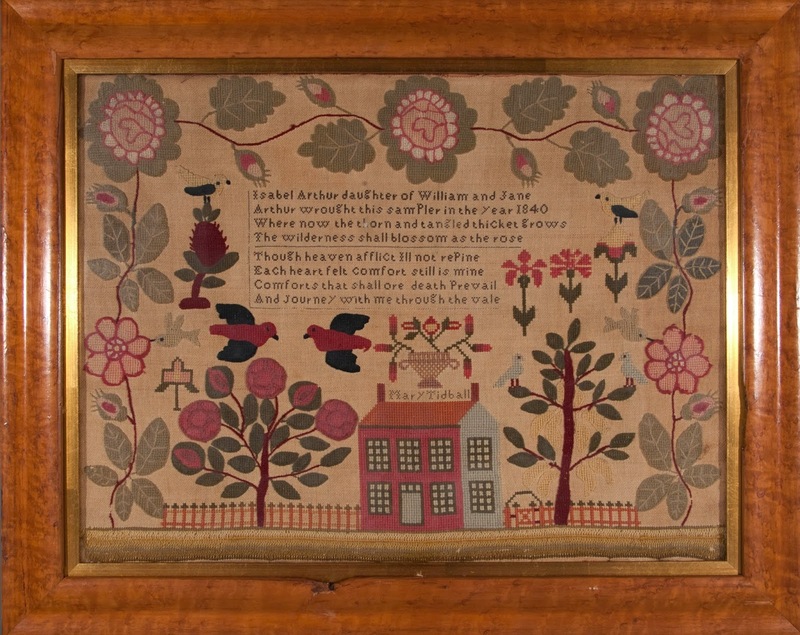 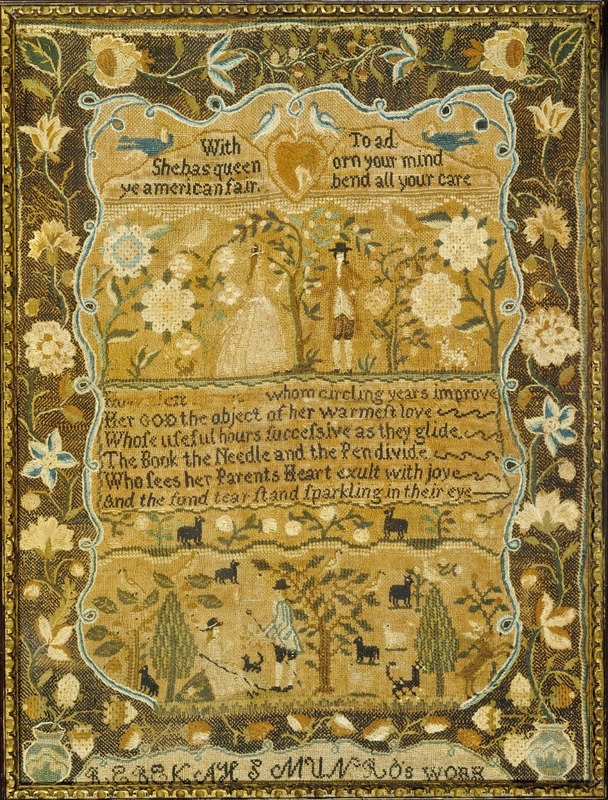 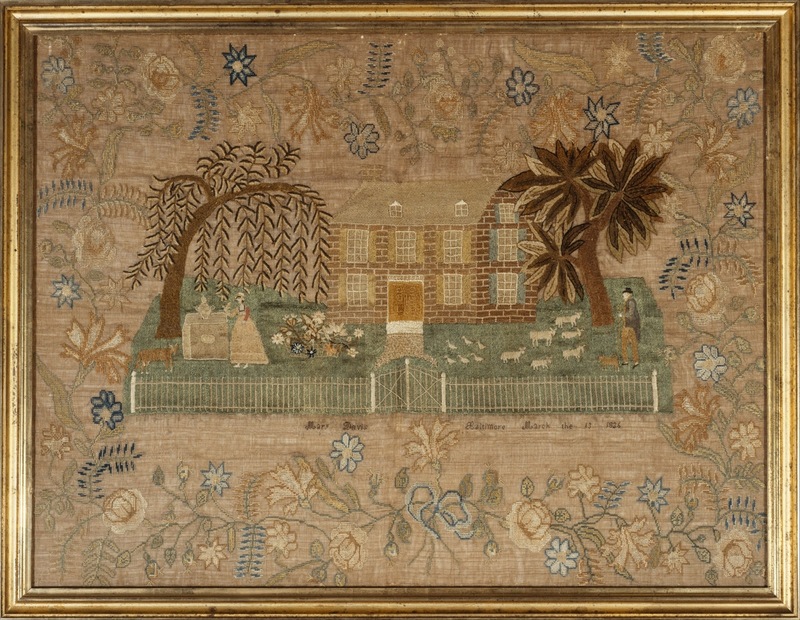 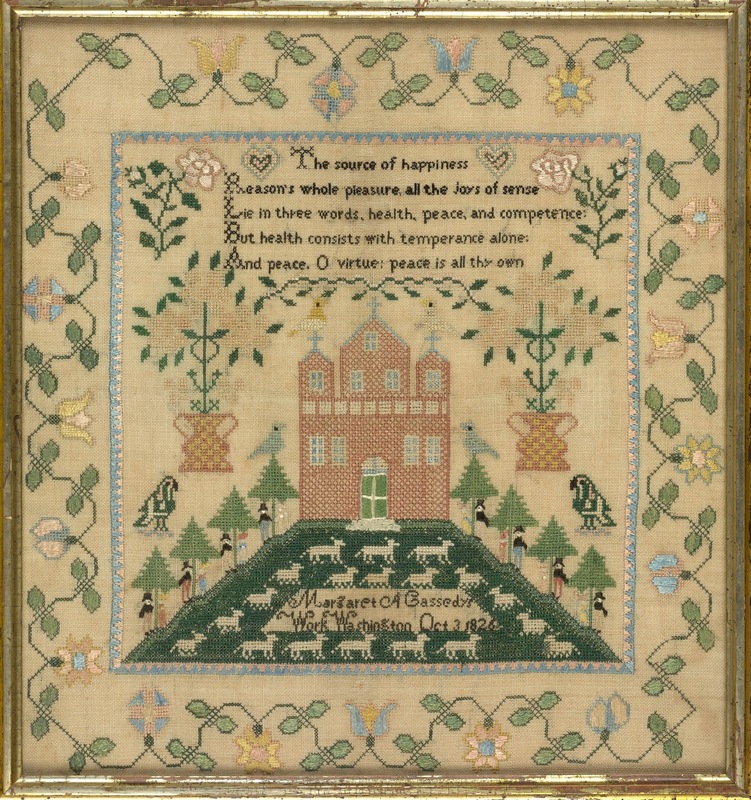 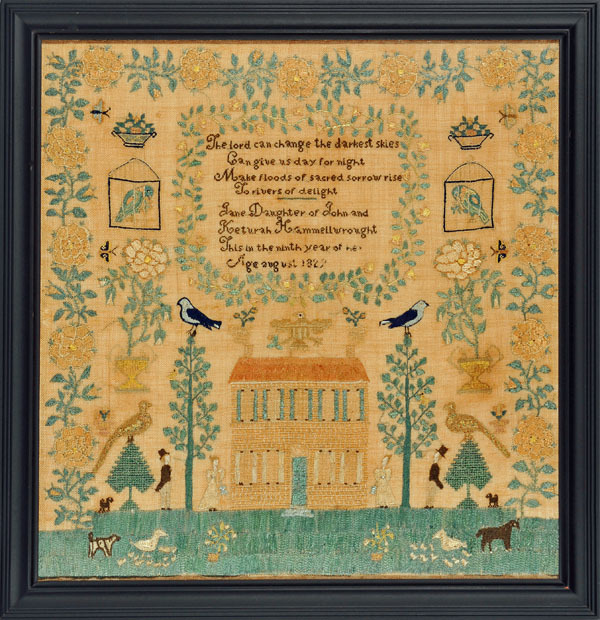 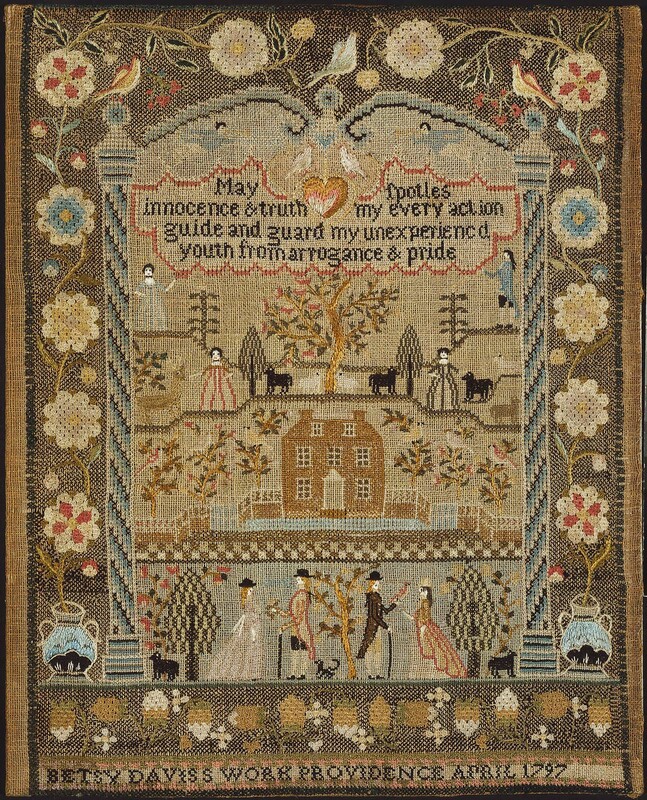 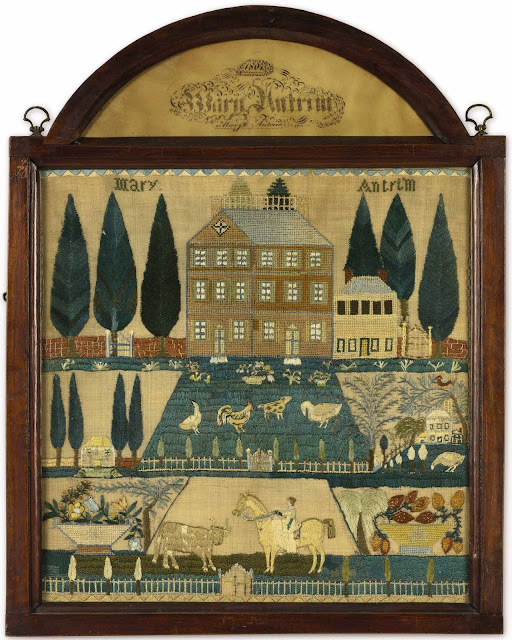 By the late 1700s and early 1800s schools and academies for well-to-do young woman flourished, and more elaborate pieces with decorative motifs such as verses, flowers, houses, religious and mourning scenes were being made.